Windows Store was included by Microsoft in Windows 8 after getting a massive amount of requests from the users. It was indeed required to integrate a store as Windows’s other strong competitor i.e. Apple already have a running App Store inside OSX. Windows Store was not much appreciated due to its fewer applications available to be downloaded and it also had a number of bugs. So, in Windows 10, Microsoft made some changes inside as well as removed some known bugs inside Windows Store, in order to make its operations smoother. But still, Windows 10 users have reported that Windows 10 Store doesn’t open. Even after restarting the PC, the store doesn’t seem to open. It is pretty awful as users don’t want the store to shut down as it restricts them from downloading the games and apps available exclusively on the store. So, I will be guiding you to get your Windows 10 Store back to work. The culprit behind the Windows 10 Store not opening might be the local caches of Windows Store which are stored in a specific folder inside the C directory. The other major reason might be related to Windows Store’s registries that can get corrupted due to some conflicts inside the OS. This issue can be resolved by resetting the Windows Store caches or deleting the local caches created by the Windows Store. This issue can also be resolved by re-registering the Store application using the Powershell. Follow the methods below to get it done. This problem can be resolved by resetting the Windows Store Caches using the Command Prompt. On the other hand, you can also delete the local caches stored inside directory. 1. Open an elevated Command Prompt by right clicking over the Start menu icon and selecting the Command Prompt (Admin) from the list. 2. Type the following command inside the command prompt and hit Enter key to execute. It would clear the caches of Windows store. After it is done, re-check the store application to see if it works or not. 1. In order to delete the local caches of Windows Store, navigate to the following folder mentioned below and delete all the files present in that folder. Note: Make it sure that your hidden files are visible. To make them visible, open any folder and go to View panel located at the top. Inside the View panel, check the box labeled as Hidden items and it would unhide the files. 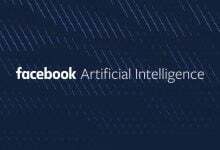 user_name would be different based on your user account. So, keep that in mind. 2. After deleting the files, open the store application again to see if the problem is resolved. 1. 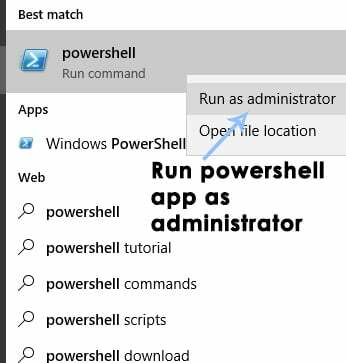 Open the Powershell application by searching for it using Cortana and run it as administrator. 2. Inside Powershell, run the following command to re-register the Windows Store application. Paste this command and press Enter key on the keyboard to execute and re-register the store. 3. Re-open the store to check whether it works or not. Cannot find path ‘C:\WINDOWS\WinStore\AppxManifest.XML’ because it does not exist. And it should work. If none of the methods above work, then create a new user account as admin and re-do the steps.